While moving out of my apartment was a drag! It was also kind of great to come across things I had forgotten about. Such as this book that i bought in college about the Japanese fashion craze!! 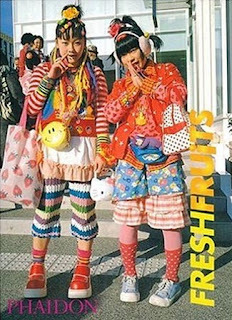 Fresh Fruits began as a street style zine in Japan, the collection grew so massively that they decided to condense it all in a series of books. the styles are so kooky and fun it will seriously inspire you for days! !